Exhibits：RFIDMulti-band unlimited radio frequency identification、Public safety precaution system, mobile data collection terminal. 2018 International Internet of Things Expo (Spring Show) is a complete industry chain on the Internet of Things covering the Internet of Things perception layer, network layer, application layer, involving precise control of RFID, sensors, mobile payment, middleware, short- IoT technologies such as low-power WAN, big data processing, cloud computing, cloud platforms, real-time location and other IoT technologies are widely used in new retail, industrial 4.0, smart logistics, smart city, smart home, smart grid, security, personnel, vehicle, military, asset,apparel, books, environmental monitoring and other areas of comprehensive solutions and the successful application of the show's high-level international event,the Spring Show is the world's largest full Internet industry chain Expo! Exhibits：RFIDMulti-band unlimited radio frequency identification、Public safety precaution system,mobile data collection terminal. 2018 International Internet of Things Expo (Summer Exhibition) is a complete industry chain on the Internet of Things covering the Internet of Things perception layer, network layer, application layer, involving precise control of RFID, sensors, mobile payment, middleware, short range wireless communication, IoT technologies such as low-power WAN, big data processing, cloud computing, cloud platforms, real-time location and other IoT technologies are widely used in new retail, industrial 4.0, smart logistics, smart city, smart home, smart grid, security, personnel, vehicle, military, asset,apparel, books, environmental monitoring and other areas of comprehensive solutions and the successful application of the show's high-level international event, is the world's largest full Internet industry chain Expo! The exhibition provides a perfect platform for the IoT industry enterprises in China and even the world to gather, display, exchange and discuss cooperation with manufacturers, suppliers, distributors and application integrators in the entire IoT industry chain. 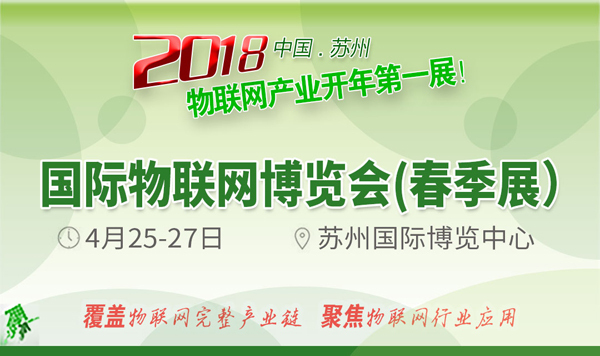 At the same time, the exhibition also through a wide range of influential publicity, invited a large number of major Internet applications industry end-users, information service providers, software development integrators to achieve close understanding of both supply and demand and mutual Business Cooperation. Independent "exhibition" , serve the world. As the world's first exhibition of unmanned stores in Shanghai in September 25-27 debut in Shanghai World Expo Exhibition Center. On the first day, it attracted nearly ten thousand professional visitors to the scene. Unmanned stores show a comprehensive combination of artificial intelligence and retail, covering the the new direction of joining in unmanned stores and the smart vending, as well as integrated solutions of unmanned stores, convenience stores, and related products suppliers. Unmanned Store Show is a great opportunity to get to know new retail quickly, learn about unmanned stores, and enter new business models to help more unmanned stores, self-service businesses and retail businesses find new directions for advancement and breakthroughs. It is reported that the scene will have deep blue, ants box, box of fruit, Fuji iceberg, think cat,Zhengzhongxinyuan, Orange Angel, Friends, Fu Lei, Huayi, gold, WIGO unmanned stores, Chain of Zhuang data, Fanmeimei, , Lei Yunfeng, Gan Lai, sixty-nine science and technology, snow, help groups and other nearly 200 exhibitors, exhibiting contents is rich and colorful, highly contemporary, will fully reflect the smart retail technology Forefront, a good interpretation of the arrival of a new era of artificial intelligence retail. UREXPO unmanned store show held to better promote the development of technology in the unmanned store industry, to promote technological innovation in industry, build communication platformindustry, academia, research and customer. UREXPO China Drones During the General Assembly, the same time held 2017 China UAV & Retail New Terminal Services Innovation Summit and 2017 UAV Investment and Financing Conference, experts, investment banks gathered. Jointly discussed the future of retail terminals and the mode of operation of industrial capital, boosting the healthy and orderly development of the industry. Thank you for your long-term support of Shenzhen Vanch Intelligent Technology Co., Ltd., our company will attend the above three exhibitions, will show you my company's new products, we sincerely look forward to your visit, waiting for you 's arrival. Your arrival hope to give us some good references and suggestions, our growth and development can not be separated from every customer's guidance and care!